This is a list of movie recommendations of movies similar to Once Upon A Time In Mexico. Bear in mind that this list is in no particular order. 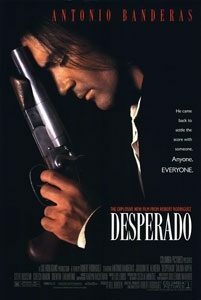 El Mariachi (Carlos Gallardo) is a traveling guitar player with the modest desire to play music for a living. Looking for a job, he stops at a bar in a tiny town, where his simple, peaceful lifestyle is interrupted. Local hit men, expecting enemy assassin Azul (Reinol Martinez) to invade their town, believe that the visiting musician is the professional killer they are looking for. 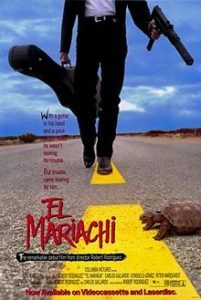 Unwittingly embroiled in vicious mob warfare, El Mariachi must shoot his way out of town if he is to survive. 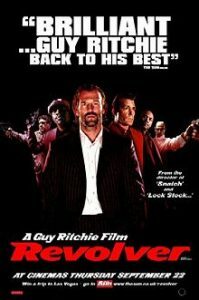 Mariachi (Antonio Banderas) plunges headfirst into the dark border underworld when he follows a trail of blood to the last of the infamous Mexican drug lords, Bucho (Joaquim de Almeida), for an action-packed, bullet-riddled showdown. With the help of his best friend (Steve Buscemi) and a beautiful bookstore owner (Salma Hayek), the Mariachi tracks Bucho, takes on his army of desperados, and leaves a trail of blood of his own. 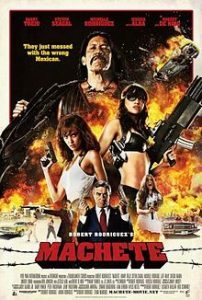 After nearly being killed during a violent fight with a powerful drug lord, a former Mexican Federale known as Machete (Danny Trejo) roams Texas streets as a vigilante and sometime day-laborer. 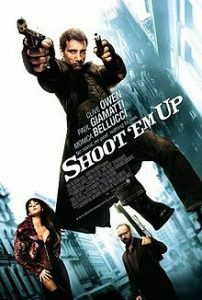 Hired to perform a covert hit, he is double-crossed and forced to go on the run. Machete may be down, but not out, and he carves a path of blood, bullets and broken hearts in his quest to settle the score. 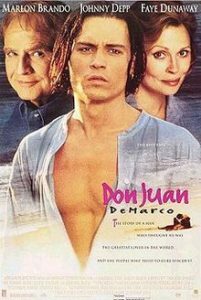 An aging psychiatrist (Marlon Brando) believes in a patient (Johnny Depp) who sees himself as the world’s greatest lover. 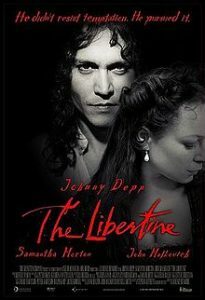 John Wilmot (Johnny Depp), the egotistical second Earl of Rochester, leads an entirely debauched life. When not writing bawdy verse, Wilmot spends his time imbibing massive amounts of alcohol and bedding myriad women, including Elizabeth Barry (Samantha Morton). When King Charles II (John Malkovich) commissions him to write a play, he happily agrees. But after Wilmot foolishly uses his big break to skewer the crown, he must face a furious Charles — and the real possibility of exile. 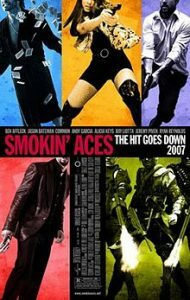 Sleazy entertainer Buddy “Aces” Israel (Jeremy Piven) incurs the wrath of crime boss Primo Sparazza when he agrees to testify against the Las Vegas mob. 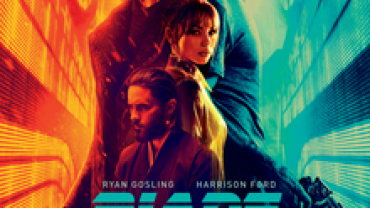 Two FBI agents (Ray Liotta, Ryan Reynolds) have the difficult task of protecting him from a motley assortment of bounty hunters, hit men and nefarious vixens who are converging on his Lake Tahoe encampment to rub him out and collect a hefty reward. An ordinary evening in a small Texas town becomes a grisly nightmare when a horde of flesh-eating zombies goes on the prowl. 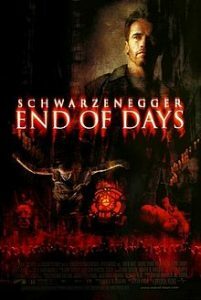 Cherry (Rose McGowan), a go-go dancer, and Wray (Freddy Rodriguez), her ex-lover, band together with other survivors in a no-holds barred effort to escape the carnage. The odds become a bit more even when Cherry, who lost her leg to a hungry ghoul, gets a machine-gun appendage and lets the bullets fly. With the millennium approaching, a series of disturbing signs suggests that Satan (Arnold Schwarzenegger) has returned to Earth and is walking the streets of New York City. It seems that Satan needs to find a woman who will bear his child, as the time for the arrival of the anti-Christ draws near.